It looks like the jobs report this morning is getting a positive reaction, and unless there is a sizable turnaround before the open, it will again lead to a gap higher. 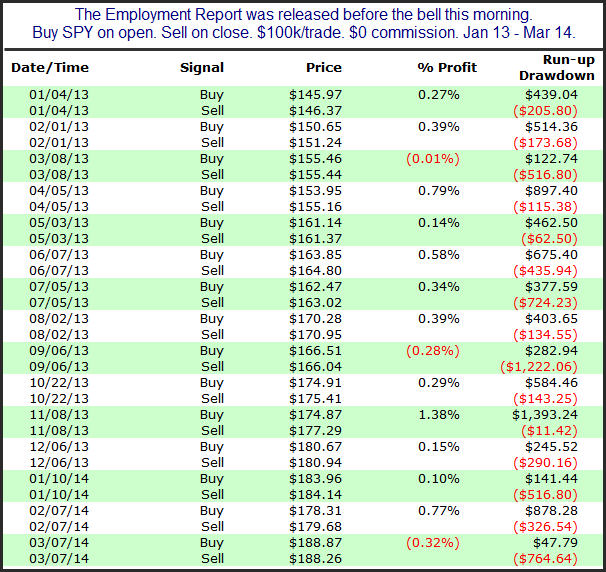 Last month I showed how SPY had done on Employment Days between the 9:30am open and the 4pm NYSE close. I’ve updated that study below. Since the beginning of 2013 the intraday performance has been quite strong. Let’s take a look at the individual instances. Last month was the biggest loser of the bunch. (Though with the big gap up last month SPY did still close above the previous day’s close.) Overall, it appears the recent tendency has been for the market to post gains throughout the day. I will note, though, that while this has been the trend since the beginning of 2013, it has not been the long-term bias of the market. There have been hot and cold streaks throughout history. 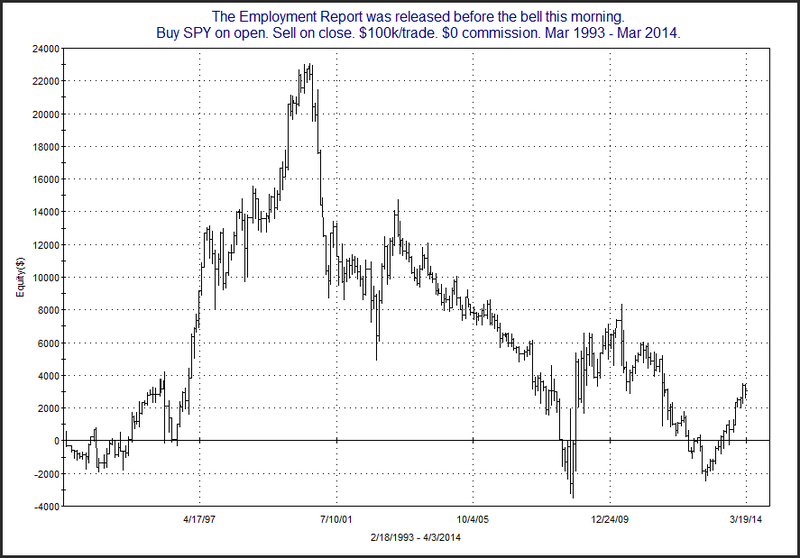 For those that want to put the current hot-streak in a long-term perspective, here is a chart going back to 1993. So the hot streak appears notable – but not completely reliable.